Zinc is an essential trace element. These tablets provide 100% of the Nutrient Reference Value of Zinc. As a supplement, take one tablet daily with food. Bulking Agent (Dicalcium Phosphate), Zinc Gluconate, Bulking Agent (Microcrystalline Cellulose), Crosslinked Sodium Carboxy Methyl Cellulose, Stearic Acid*, Magnesium Stearate*, Acacia Gum Powder. added sugar, salt, starch, yeasts, flavourings, colourings, preservatives, or animal derivatives. 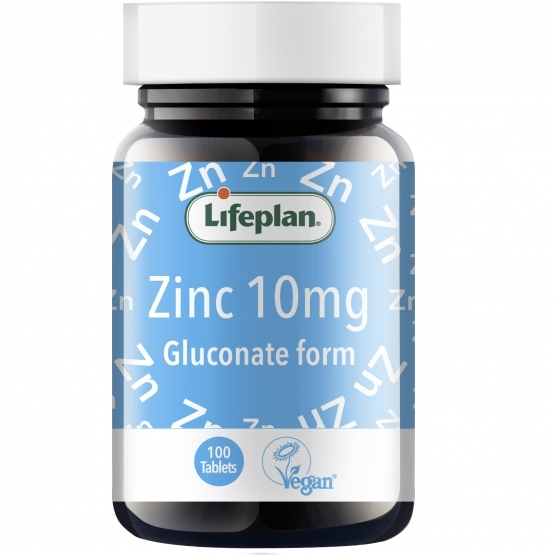 Zinc (Gluconate) x 100 has been added to your basket.